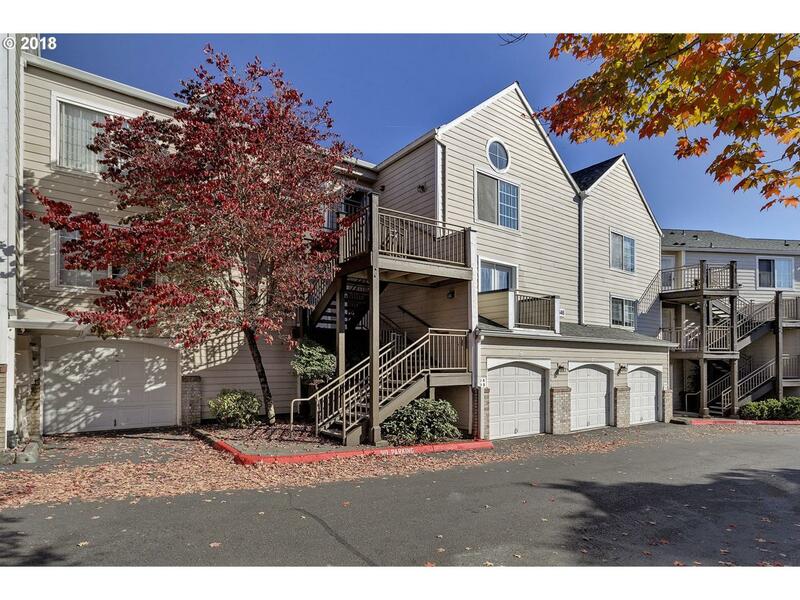 Quiet unit w/view of the hills, upper level condo with vaulted ceilings. Renovated bathrooms with tile floors, vanities and cabinets. Newer stove, dryer and water heater. Refinished water-sealed deck. Garage @ bottom w/built-in shelving. HOA includes water, sewer, garbage, pool & hot tub. Right across THPRD, PCC rock creek & minutes from West Union & Bethany dining. No rental cap. $500 Seller credit for carpet. Open Sat 11/17 from 1-3.